If my twitter and facebook feeds are any indication, this ironic sign was a big hit at the March for Life in frozen Washington, DC yesterday. This sign of course invokes the ubiquitous bumper sticker seen on Volvos, Subarus or Priuses (Prii?) in Bluetowns across the country. 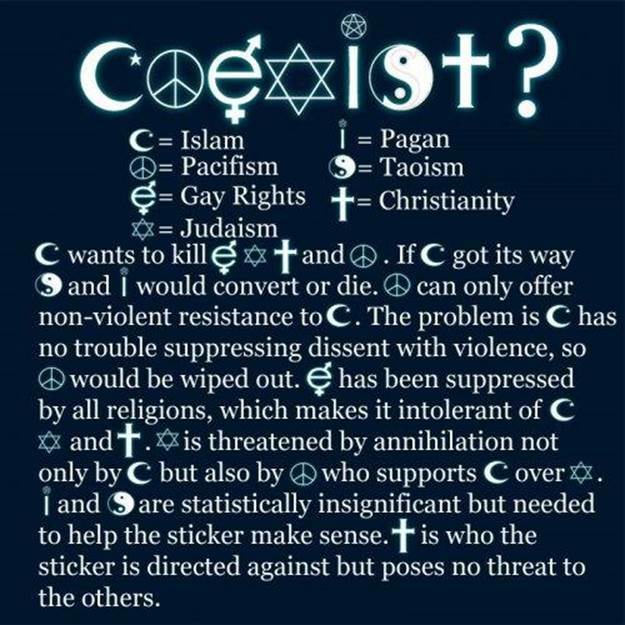 The bumper sticker features symbols from many world religions basically saying ‘can’t we all get along?’ At its essence, it also intends to convey the idea religion is the cause of strife and division among mankind. But what of the left? Fifty five million babies have been aborted since the 1973 decision. 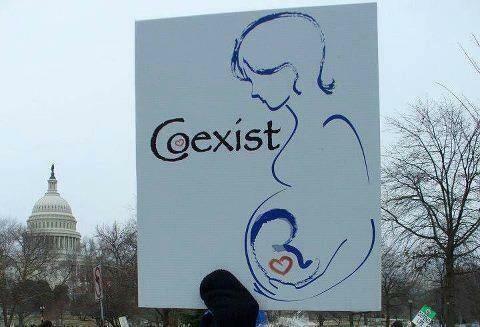 The sign above is an-in-your-face reminder that the same leftists preaching ‘coexist’ should practice what they preach.